Officially out of the house and into the Winnebago! So much has happened this week that it’s been a blur. 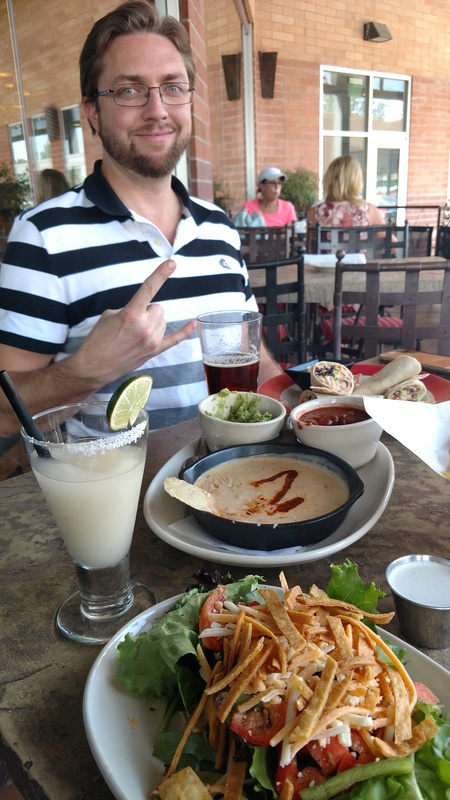 Scott had his last full day at work so we had to go celebrate at Z Tejas for some happy hour margaritas and beer of course. 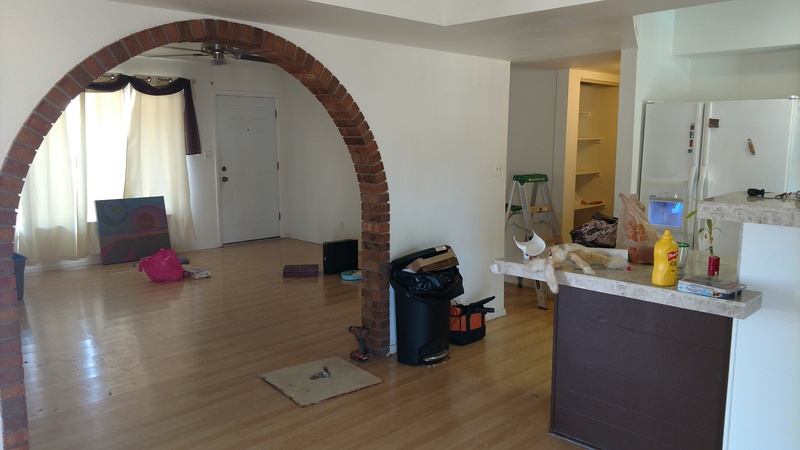 We have the house 99.5% empty now, so I’ll attach a few remaining pics of what’s in there…but everything has been given away to family, friends, Goodwill or the trash. 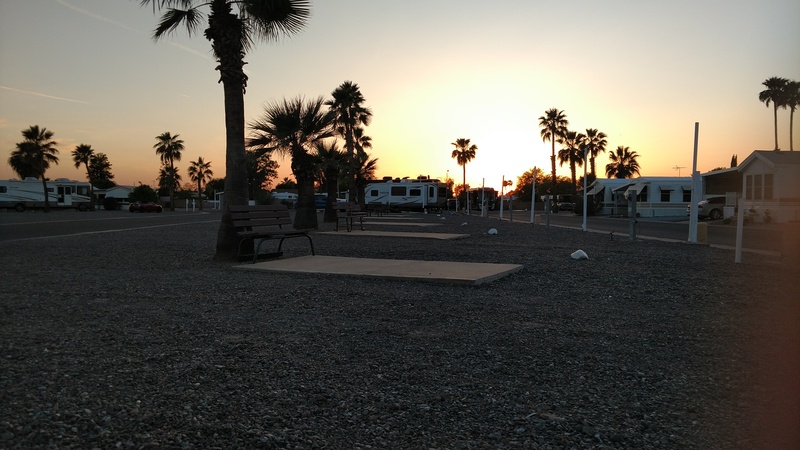 We got everything moved into the RV by 4 o’clock on move out day and drove into Northwest Phoenix to stay at Desert Shadows RV Park… I will do an entirely separate blog on this RV park later. But we plan to stay here through Sunday, Easter Sunday, in fact when we will be leaving in anticipation of no traffic and arrival at Beaumont California later on that afternoon. The first Big Stretch we’re ever going to do and it should be about 6 hours drive time…so that’s a nice full drive. 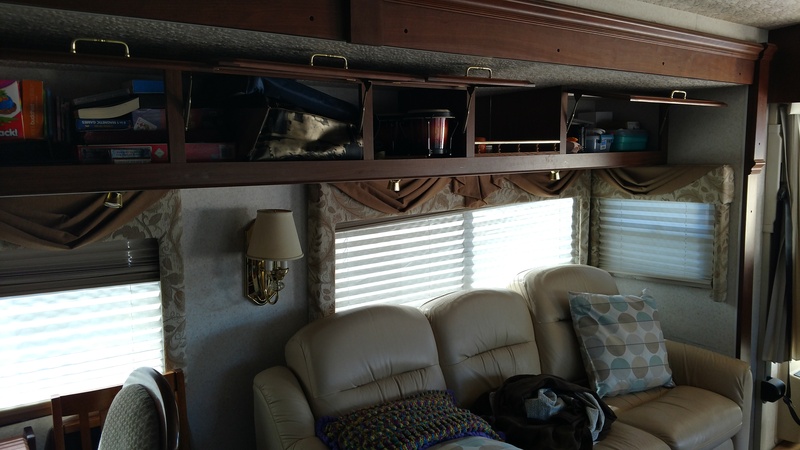 We’re getting more comfortable in the RV and enjoyed our first meal here as well as figuring out real life logistics where where to put things and what items are really needed and what are not. One drastic improvement is the kiddo is not watching as much TV and really exploring her surroundings, playing with stuffed animals, using imagination and just generally wanting to be more Outdoors. This RV park happens to have an indoor pool so we went swimming yesterday. And then I got in the jacuzzi to warm up. They have great coffee here as well but that’s another story. The weather outside has been getting into the low 90s which is just when it starts to get uncomfortable in Phoenix and most people head north for the summer, which is exactly our plan. 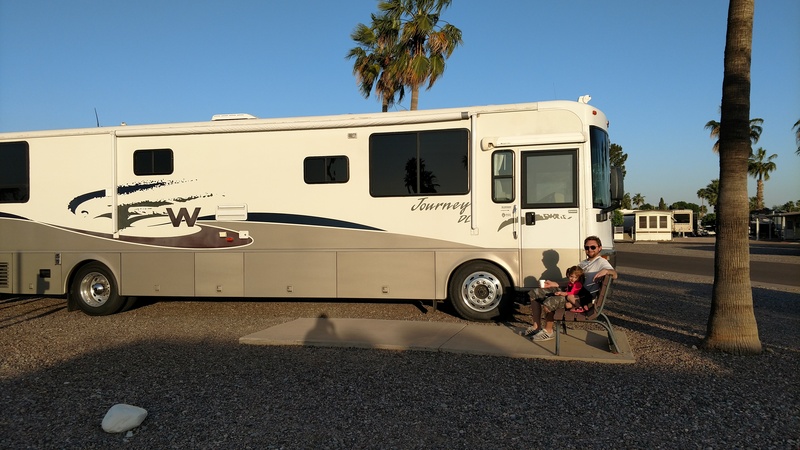 We have two more days until we leave Phoenix to drive to Beaumont, then we will be at Bakersfield California RV Park and then we are going to Yosemite California for about 2 weeks… which we are all super excited to explore! Lots more updates coming soon.. The Adventure Starts Now! !